Please take a moment to let us know about your experience at Desert Dental Care. Please include your hometown at the bottom of the comment, thanks! DR. PEREDA HAS WORKED ON MY WIFE, CHILDREN, FRIENDS & ME. SHE HAS DONE EXCELLENT WORK & WE ALL THINK HIGHLY OF HER & THE DENTAL ASSOCIATES SHE EMPLOYES. YOU WON´T BE DISAPPOINTED HERE. for many major and minor dental problems. Her work is better than most US dentists at a fraction of the price. She is a perfectionist which is what you want! Los Algodones is a great little town and is very safe. You can park on the border for $6 and walk across in 5 minutes. Well worth it. We wouldn't see anyone else even if it wasn't so much less expensive than the US. I was able to call and get in next day. I had 2 teeth extracted and prep work for my implants. I was told to come back in 3 months after they heal. My wife was even able to get her teeth cleaned also. It was a very nice experience and everyone was very friendly. Dr. Pereda was great and so is her staff. I will be back in 3 months. 100% satisfied! A fantastic staff of Dental Doctors, with their experienced Dentistry. My dental treatment has been a blessing of their fine work ethics, I am very happy and thankful to God and Doctora Rosario and her staff for my smile and my confidence. They have restored. They have put some sunshine over me. Thank you Dra. and your Dental DRS. Bless you all, and love you all! The nicest, most pleasing professional and helping staff. Dr. Pereda´s office is beautiful and comfortable. At Desert Dental Care from Elsie and Yenssen to Dr. Corrales, this patient couldn´t have been in better stand with Dr. Pereda answering and assisting these wonderful people to be top-notch in their professional service. I chose Desert Dental Care (Dra. Rosario Pereda, DDS) Because of her 20 years teaching at a dental school before her own practice. My husband & I found the care to be exceptional & professional by her associates. Good English spoken by all. We are both very pleased with the quality of the work done as well as the efficiency of much work completed in such a short time. Very good, all staff are friendly & helpful. Pleased with work we had done. Would recommend friends to go here. Everyone very knowledgeable. Dr. Pereda very gracious & helpful. Everything was fine. friendly staff and very professional outside staff. Thank You. WITH PAST EXPERIENCE OF HAVING WORK DONE BEFORE THE RESULTS WERE VERY GOOD. WHY WOULD WE GO ELSEWHERE. EXCELLENT WORK AND COMMUNICATION TO YOUR PROFESSION. ROSARIO YOU AND YOUR STAFFS ATTENTION TO DETAIL AND CARE IS APPRECIATED BY CANADIANS, ESPECIALLY US. EVERYONE HAS COMMENTED HOW GOOD MY TEETH LOOK!!! MY YOUNG DENTIST WAS NOT HAPPY IN LANGLEY, B.C. BUT HE WANTS TO COME HERE TO BE MENTORED. HE IS GOOD LOOKING LIKE NICK LASHAE MOVIE STAR. EXPERIENCE WAS VERY POSITIVE, DRS VERY PROFESSIONAL & ATTENDING TO PATIENTS NEEDS. Professional, great service, communicative of work to be done! I am impressed with service! This was a pleasant experience. The procedure of the root canal was long, but went very well. I had no pain after the procedure. And no side effects. I hope the crown is a long lasting aplliance. Staff are very friendly and pleasant. I will be recommending your clinic to my friends. I am very pleased. I had a broken denture, and went to other places who said They couldn´t be repaired. But Desert Dental. Repaired them & they fit real good. I´m a satisfied customer. We appreciate the expert dental work that Dr. Cristian performed for Jeff Proctor last week. Your office staff were very polite, professional and efficient. We will recommend you to others, and we plan to return again next year. We wish you continued success, and thanks again! It was a very good experience. The Doctor was very explicit to me & very kind. After all I like how They are very professionals. The best experience ever. Great dentists Debra and Ruben. Great Staff. Happy enviroment in office. Will come back and get implant and crown. Gracias to all! I went to Desert Dental for Dentures was given very excellant care and my teeth fit very well. I was very pleased with my work. Best experience with a Dentist. Least PAINFUL. Excellent care, very cortial and competent! They did a wonderful job, 3 new crowns replaced (30 year old). Everything went very well, Christian did a nice job. Friendly, helpful, fast. Great Job. Very little discomfort after lots of work. A very satisfiying procedure by a very professional caring group. I would and have recommended to many. I have had good service and good work done. Hopefully my teeth will be good for a long time. Dr. Pereda is fantastic. Very loving & discerning. to often as I need to be able to c her to. It was great! I will be back again. I am very pleased with the service provided. Happy with the results at my appointment. Would eagerly give your name to anyone who needs a dentist in algodones. Very nice and friendly. Good work. 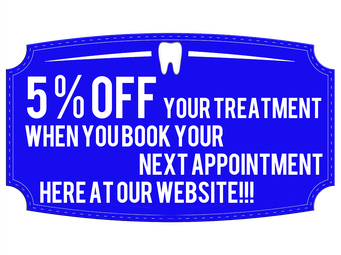 DESERT DENTAL IS QUALITY DENTAL CARE AT AN AFFORDABLE PRICE. I live in the Seattle area. 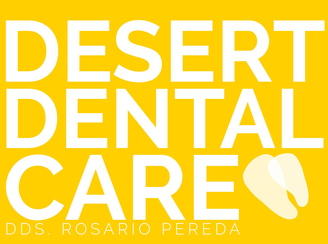 Two friends of mine (who don´t know each other) both recommended Desert Dental & Dr. Pereda! I can´t say enough about the excellent dental care we received. Dr. Debra did my bridge, cleaning, filling & whitening. She was so gentle & answered any questions. I felt truly relaxed & comfortable in the dental chair! My grandson Trevor needed extensive work done, which was completed by Drs. Pereda & Dr. Christian. His smile is award winning now. He says he could be a poster child for Desert Dental Care. Dr. Pereda & staff went above & beyond my expectations to complete Trevor´s work. (Staying very late & opening early) I will be forever grateful for your caring and excellent dental work. I will be recommending your office to family & friends! My husband has been a patient for many years. Excellent service, Dr. Debra was very kind and caring. I came into the office to have an exam and diagnosis. I am very pleased with the work. Dr. Sylvia has done on me. She has a gentle hand, and she is very confident. I have a lot of confidence in her and will recommend her to others. Disfrute mucho del servicio y el trato que me dieron el Dr. Luis Melendez es el mejor dentista que he conocido, es muy amable y muy profesional, yo lo voy a recomendar con todos mis conocidos porque fue una experiencia muy agradable. A very good experience, great cleaning. Will come here again. STAFF VERY FRIENDLY, EFFICIENT & PROFESSIONAL. WORK WAS VERY WELL DONE IN A TIMELY FASHION. Dr. Pereda is extremely professional, She speaks excellent English and clearly informs You of the procedures. I was expecting her to convince me that a dental implant was what I required because I had lost a tooth. She informed me that the bone for the implant was too unstable and I should wait and She would check in a few months. I highly recommend Dr. Pereda. Many Thanks! WE WOULD COME AGAIN. EXCELLANT SERVICE. Excellent, the work looks great!!! VERY WELL DONE, VERY PLEASED WAS NOT PAINFUL OR FEARFUL. DR. PEREDA AND CHRISTIAN WERE VERY PLEASANT AND INFORMATIVE. WOULD RETURN IN NEAR FUTURE. THANK YOU. Excellent service with cheerful atmosphere. Staff was very cordial. Doctors were excellent. Fully satisfied. Always been very pleased with staff and Their work. It was very good and pleasant and reasonably priced. VERY GOOD. DR. ROSARIO AND STAFF EXCELLENT AND CAN BE TRUSTED TO DO EXCELLENT DENTAL WORK. I'M VERY HAPPY WITH ALL OF DENTAL CARE AND WOULD RECOMMEND THEM TO ANYONE IN US OR OTHER. RETIRED DEPUTY SHERIFF, 30 YEARS FROM FRESNO SHERIFF´S DEPT. State of the "art" tools. Excellent communication of what was being done. Options were spelled out. Root canal was painless. Temporary bridges fit and will return at my convenience for the rest of my work....implants and bridge. Just a note of thanks to you and you staff for the excellent care we received over the last couple of weeks. My tooth felt so good last night after the root canal and am able to enjoy coffee this morning. Very impressed with your Endodontist as well. We will definitely be back next year. WALK-IN 5 YRS AGO, WE ARE VERY SATISFIED, THAT IS WHY WE COME BACK EVERY YEAR. The staff personal were extremely helpful. The dentists were knowledgeable & responsive to any needs. We Were Walking by. My husband get his teeth cleaned then I was very impressed. So I decided to come this year to get my teeth done here. I had a GREAT experience at Desert Dental with Dr. Pereda and her staff !! My "visit" was a few years ago and I am as happy with the results of the very professional treatment now as I was then. And, just as important, I know I saved at least 45%, even including travel, of what it would have cost me to have the same work done in Oregon. We have been coming here for a few years. We just Walked in the door. We always get great care and attention. Dr. Pereda and Dr. Debra have given us great care. Have had previous work done and always pleased with outcome. GOOD SERVICE AND EXCELLENT WORK. BEEN WITH THESE FOLKS 8 YRS. BEEN HERE MANY TIMES. ALWAYS A GOOD EXPERIENCE. Very good work. I would recommend Dr. Pereda to my friends. I have been coming for my dental work for 5 years. I am very pleased with the work expertise, pleasant people. We did not have to wait long. I enjoy all the workers. I was told Mrs. Pereda is very professional and She was and very kind. I am very impressed for the work the dr. perform. Dr. Rosario, Dr. Sylvia together with other drs. It is excellent team. I will recommend every person to come and see this great team. I came all the way from Winnipeg, Canada driving 32 hrs. to Yuma. I spend over $30,000 to Dr. Dulat in Winnipeg and my 2 implants fell out after 4 years. One implant I lost in September 2015 and another one in October 2016. I try to get help from any dentist but nobody could give me the right answer and repairs - fixed. Last two years I struggle to eat food. I was lots a time in pain. I was eating by my bottom gums my meals and I couldn´t chew propertly. I believe I gain some weight. I ask my previous dr. to fix my teeth and I wait over 18 months. Excellent work. I will recommend you to all my friends. Estoy muy satisfecha por su trabajo muy responsables y delicados al realizar el trabajo, muy profesionales. My experience was very favorable. The work done was very good, fast and friendly staff. Excellent care. Clean office. Love my smile! Highly recommend this office, the team is top notch professional. I love the experience I got here. I love to smile now! This is my favorite Dentist office. I would highly recommend this office to everyone.